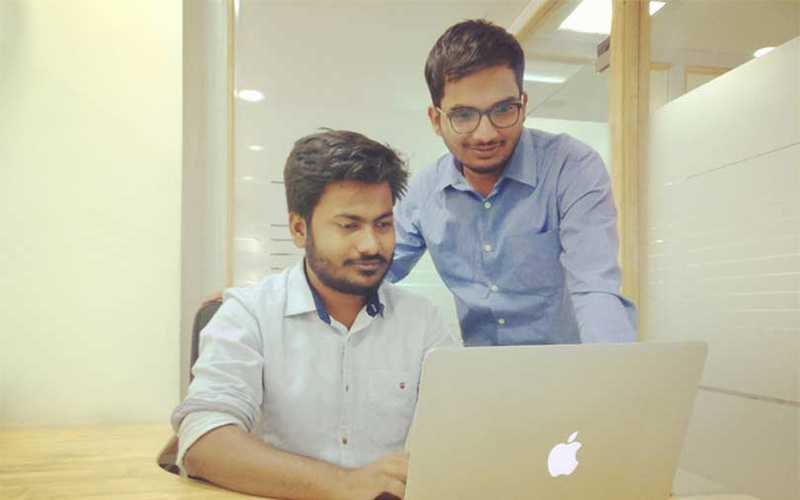 The two IIT-Bombay graduates knew they had finally – and quickly -- overcome buyers’ indifference at home when a foreign firm agreed to acquire their startup, and their team. Aetlo Tech, a Mumbai-based blockchain startup that was incorporated only last year by the two engineers, had been suffering from lack of investor interest ever since its launch. And now, it has been acquired by Page Solutions, a UK-based banking and financial services company, in a bid to beef up its blockchain solutions aimed at start-ups and global enterprises. As part of the deal, co-founders Rupesh Mishra and Adarsh Kumar and three others will move to Page's office in Madhapur, a suburb of Hyderabad, Mishra revealed to TechCircle in an interview. The team will work as part of a new subsidiary for Page’s blockchain solutions called PageChain Technology Pvt. Ltd. Lack of interest from Indian health insurance firms in the blockchain management of claims fuelled up the early buyout, Mishra said. "While we worked with several companies such as Tata AIG General Insurance Company, and developed proofs of concepts, the blockchain solutions were never deployed," Mishra said, adding that the lack of interest stemmed directly from the low volume of health insurance in India. It was only while working in the trade finance sector that the startup came across Page, asking it to deploy a blockchain solution for a global bank, the co-founder said. Page, which serves global markets, had seen a spike in demand for blockchain from health insurance and management companies in West Asia (the Middle East) and Europe, said Mishra. “The reason for the demand, especially in the health insurance segment, is the high volume of insurance in these regions, and deploying a blockchain makes insurance claims processes more efficient and secure," Mishra explained. The high demand seemed a great reason to align the interests of the two companies, and soon enough an acquisition followed. Mishra said this strategy works for Page, which is looking to capitalise on the demand, as well as for themselves, who look to tap Page's international presence and brand value for the deployment of solutions globally. In the banking, financial services and insurance sector, Mishra said his company would work with Page to advance core banking systems. "CBSes necessitate a process called reconciliation, which results in banks spending a lot of money. Then there is the pain point of keeping data safe, despite sharing it with a consortium of banks or insurance companies. Blockchain can solve all of these issues," he said. Page offers solutions to banks for the deployment of services such as CBS and counts global banks from Europe, West Asia (the Middle East) and South East Asia as clients. Aetlo Tech, the startup, was one of the participants at the FinTech Valley Summit last year, organised by the Andhra Pradesh government. The company says its trade-finance product, Consensus chain, lets users securely share transaction details of shipping goods.